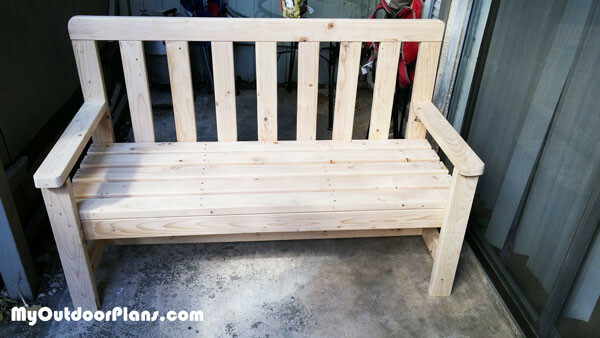 I built this bench from 2×4 lumber. I drilled pocket holes to assemble the components together. Thank you for the plans.